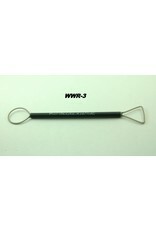 Hand-crafted, nickel-wound double ended wire rake from Cutting Edge Sculpture for sculpting/clay modeling and pottery. Made with high quality .080” (2mm) nickel-wound music wire ends, thick 1/4” (6.3mm) diameter brass handles wrapped in our rubberized no slip coating, and held together with a strong industrial epoxy. These tools are made with the professional artist in mind. Built to withstand the punishment of daily aggressive use! Simply put; they’re the toughest tools you can buy! At Cutting Edge Sculpture we have over fifteen years’ experience crafting tools for clay modeling and we’re making them available to you! Designed and built for sculptors, by sculptors. 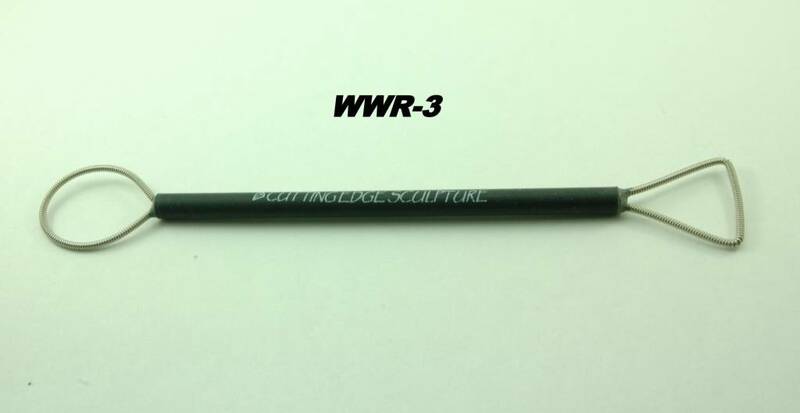 Wound Wire Rakes are unique tools used for finer raking of clay sculptures, wax, and pottery than other rakes. Use them to smooth surfaces by pulling the tool across the clay.